I would like to merge from a sibling branch. 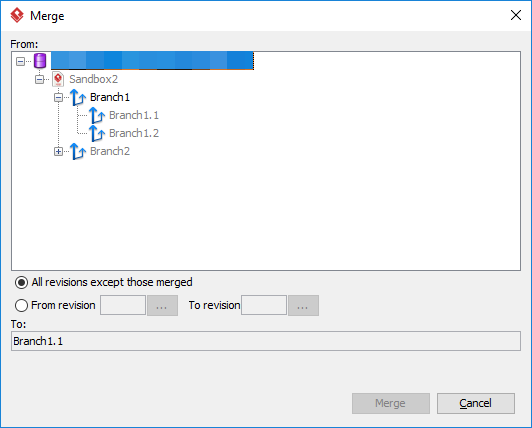 In this example, I am working in Branch 1.1, and I would like to Merge in changes from Branch1.2. You need to merge from Branch1.2 to Branch1 first, then merge Branch1 to Branch1.1.